Extol Toastmasters has done it again! For the fifth year now, Extol Toastmasters has been organizing the Youth Leadership Programme (YLP) to allow teenagers to develop their communication, public speaking and leadership skills. This year's YLP took place last weekend, from 23 - 25 November 2007. Given the overwhelming response we've got this year, we are almost certain that there will be a sixth YLP from Extol Toastmasters next year. 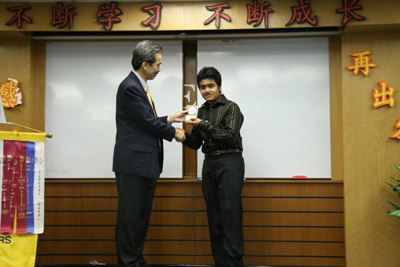 In the finals held last week, Alexander Leong emerged Champion. His speech was an excellent display of confidence, humour and skills he had picked up on the first and second days of the YLP. 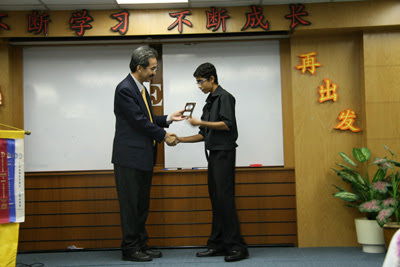 Yap Pei Qi was first runner-up, followed by Jitesh Menon in third. There were also awards for the Most Creative and Most Improved participants, as observed throughout the whole programme. Hetish Menon was recognized as Most Creative, while Cherish Chin was named the Most Improved participant in the YLP. Congratulations to all winners! If we had our way, we would love to award everyone with a winner's trophy because indeed, all students who participated in the YLP were winners in their own right. By joining the YLP, they have taken the first step towards becoming an excellent communicator, influential public speaker, and a future leader. 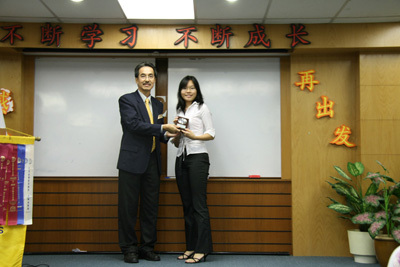 Extol Toastmasters was formed in 1998 at Taipan, USJ. 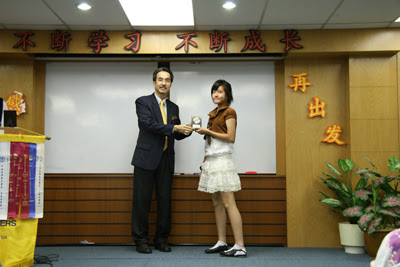 It is a non-profit organization under Toastmasters International. Throughout the past decade it has established itself as an exemplary Toastmasters club in promoting public speaking and leadership skills to the community of Subang Jaya and USJ. 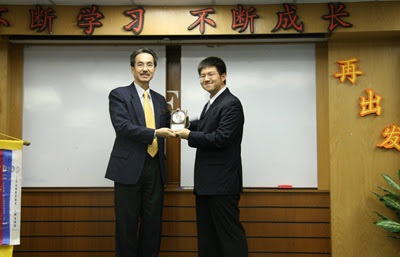 The club has won numerous awards since its founding – it has been awarded the President’s Distinguished Club, a coveted award among Toastmasters clubs, for the past 8 consecutive years. The joy that isn’t shared dies young. To share the experience and skills that its members have gained, the club has conducted Youth Leadership Programme in Subang Jaya for the past 5 years. The purpose of the programme is to develop speaking and leadership skills in young people. These skills help make young people better in facing the today’s challenges. A recent survey shows that communication skills ranked as one of the most highly desirable trait of an employee, and, very likely, a successful person. This programme has 8 sessions covering meeting organization, basic public speaking, impromptu speaking, speech organization, listening, gestures in speaking, voice and vocabulary. In the final session, parents and guardians are invited to a showcase competition between the participants. In the past years, this community event has had good responses from the students, their parents, and even the coordinating Toastmasters. It is always a new learning experience for everybody involved in the event. As Extol Toastmasters is a non-profit organization, any proceeds from the event will be used to promote activities of the club and the mission and vision of Toastmasters International. No individuals will directly profit from the event. This programme is open to all youths 11 – 18 years old and it will be held on 23 – 25 November, 9am – 5pm at Wisma CNS, No. 2 – 6, Jalan SS 19 / 1G, Subang Jaya. For details, please email Lim Yeong Chuan: yeongchuan@gmail.com. 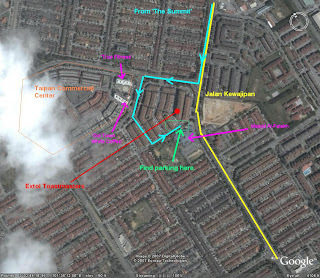 The following are maps of Subang Jaya and USJ with landmarks and directions to Extol Toastmasters. Click the maps below to enlarge.